Features : Each of the metals used to make Apple Watch Sport is a custom alloy, engineered to be both beautiful and durable. 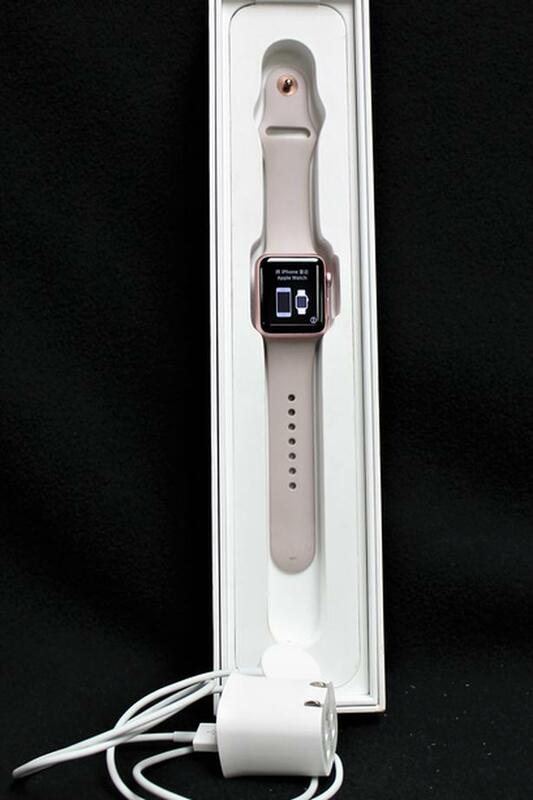 It features an anodized aluminum case with a rose gold finish. There's also a wide range of interchangeable bands made from a variety of materials. Apple Watch has breakthrough technologies like the Digital Crown, Taptic Engine and Force Touch. With up to 18 hours of battery life, you can use it all day long.